​​ Be prepared to experience true western buckaroo culture and old west history through the paintings and art of western artist Len Babb. As a young boy, Len began sketching and painting the culture he loved. Today, Len's expriences and life passion are expressed on canvas, paper and clay. Len is accomplished in oil, ink, watercolor and sculpting. Lens lifetime as a working Buckaroo has a strong influence for his art work. That experience and his love of the old west is seen in fine detail in his paintings of Buckaroo life, work and the buckaroo gear. 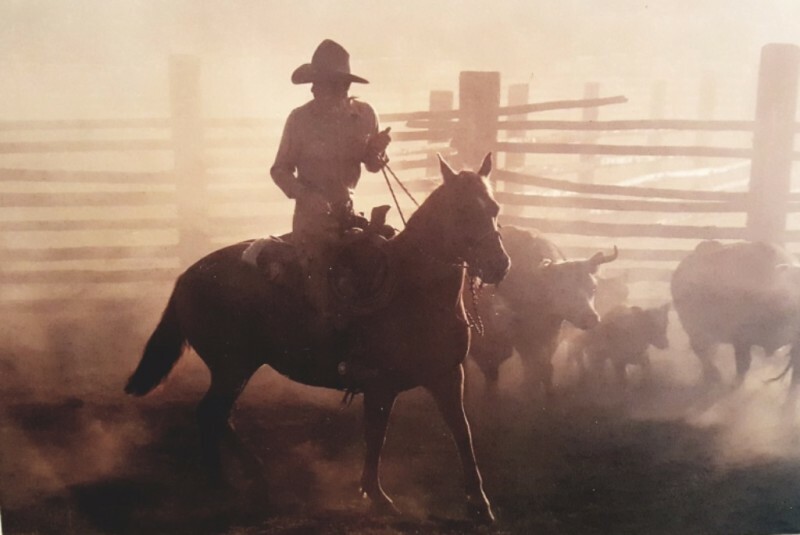 Len continues to enjoy working horseback and spending time in his log studio bringing to life his memories and the events that are enhanced by his extensive reading and research into an era gone by. Len's creative personality is also heard in his colorful stories and true tales of the old west and his life adventures. Len has been selling his art since the 1960's. Today, Lens original paintings and inks range from 7 to 25 k.
Len and his wife Gloria reside in Paisley Oregon where they continue to enjoy their life together spending time with family and good friends.